We have put together some information on leisure events in the province this weekend. 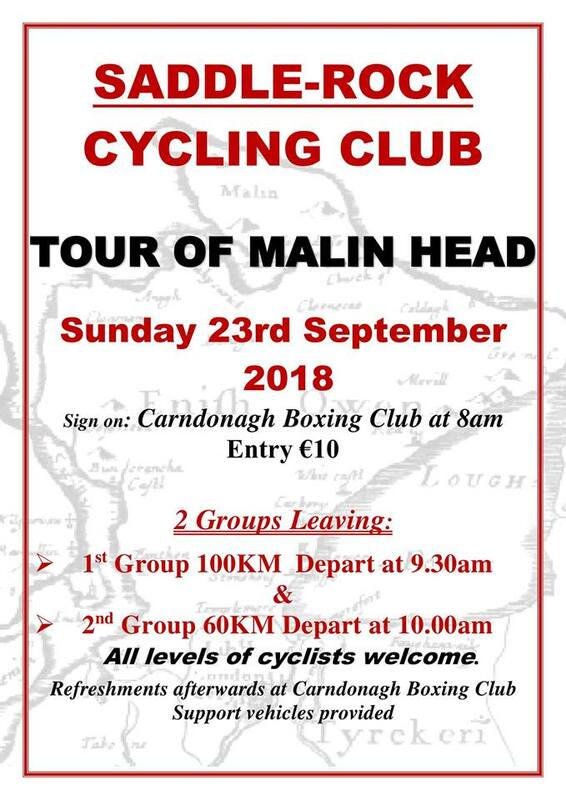 If you would like any information on your event added please e-mail patrick.withers@cyclingireland.ie. Foyle Hospice is pleased to announce the return of our much loved ‘Ladies Only’ Cycle event in association with Foyle Cycling Club. 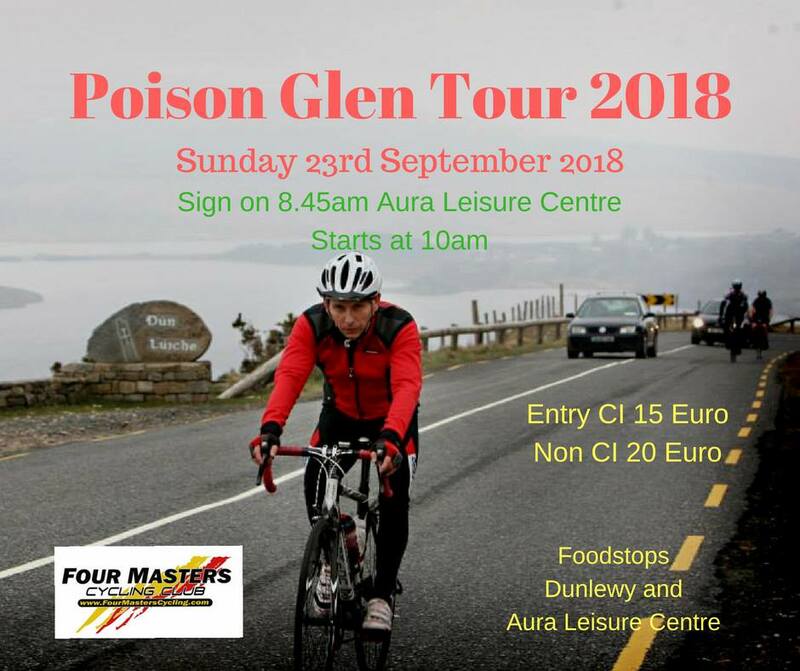 It is run to foster the two-wheeled sport of cycling among women as well as to raise much needed funds for a worthy local charity. There will be a choice of three different routes. Route 1, 20 miles on cycle path with a difficulty rating of ‘Easy’, route 2, 25 miles on road with a difficulty rating of ‘Moderate’ and route 3, 50 miles on road. 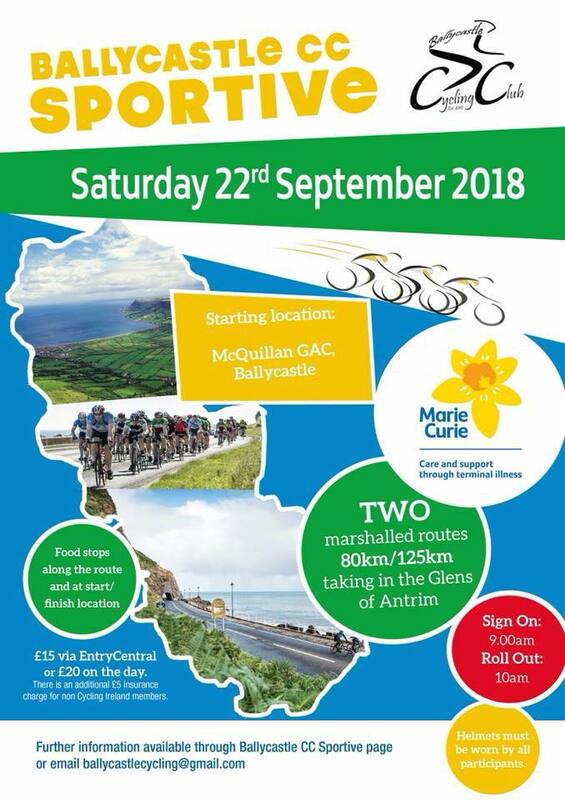 The cycle will leave from the Foyle Hospice, Culmore Road, Derry/Londonderry at 10am, with sign in/registration commencing at 8.30am. All the Ladies will be greeted upon their return to the Foyle Hospice with a much needed cuppa & a some delicious home baked goodies. Dunloy Cycling Club tour of the Causeway Coast and beautiful North Antrim raising funds for the STARS Autism project based in Kilrea. This group provide Pre-School learning and summer schemes for children diagnosed with Autism. They depend largely on donations and we would appreciate your help to make a difference in our community. The minimum donation is £15 and for this you get a fully marshalled tour with safety vehicles and a much deserved tea on your return. Sign-on will be from 9am in the Dunloy GAA Clubrooms and the roll-out will be at 10am. There are 2 routes: 53 miles…. We look forward to seeing you all there on the 23rd!